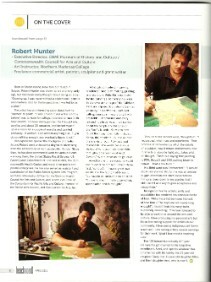 Check out an article on me and fellow artist Barry Wonenberg in the April 2011 edition of "Beach Road Magazine"! "The History of the Northern Mariana Islands through Partition" is now available at the Public School System and BookSeller! Pick up a copy of this beautiful hard-cover and check out my illustration work. Speak Japanese? 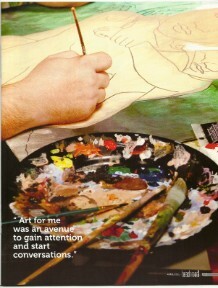 Check out the article about my artwork in "Maido" magazine! 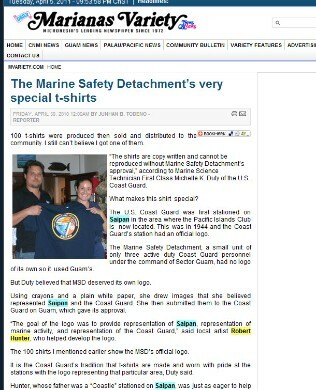 The United States Coast Guard unveils new "Marine Safety Detachment" I designed, to be used for embroidered patches, shirts and hats. 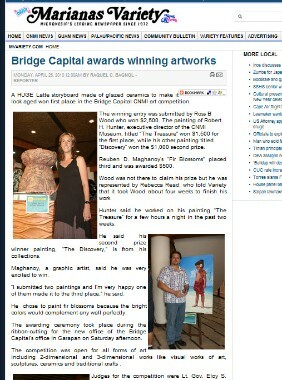 "Marianas Variety" features story on my awards in the Bridge Capital Art Competition for 1st and 2nd Place! 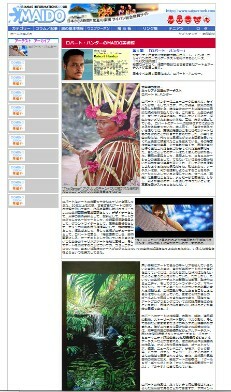 Pacificworlds.com, is a PREL online educational site aimed at teaching providing students and communities with some insight on life in the islands of Micronesia. Visit them and check out my photos!